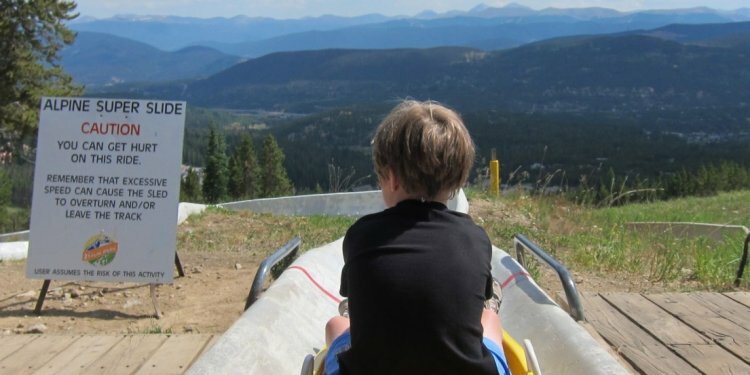 The Breckenridge Summer Fun Park will welcome summer 2015 with new activities focused on Breck’s youngest guests at their new Kids’ Base Camp, as well as the fun favorites that bring guests back year-after-year. Kids’ Base Camp at the Summer Fun Park will offer three new attractions for children weighing between 30 – 100lbs., including a small kids zipline, kids challenge course and a kids summer tubing hill. Nestled where the winter Kid’s Ski School area is located, Kid’s Base Camp is the perfect introduction to the Fun Park for those who might not be big enough to enjoy the larger rides. In fact, some of the base camp activities are the baby siblings of their Fun Park counterparts. As seen in the above video; the small kid’s zipline provides the thrill for our smaller compadres, the tubing hill is like an intro to the alpine slide, and the kids’ ropes course will get you’re children used to the extreme environment that’s coming for adults next season. The best part about the Kids’ Base Camp is the fact that all the activities are located right next to each other in a small space, so getting to and from each fun station is a breeze for you and your little ones.